You can export brush tips to share, backup or install on a new computer. By default, both your brush tips and your paper textures are selected for export. 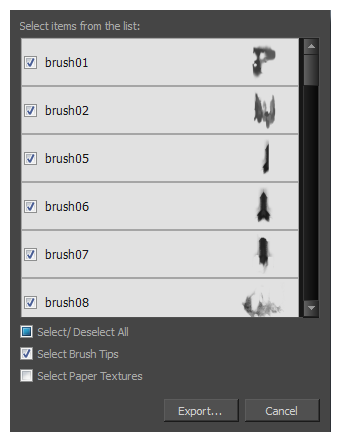 If you only wish to export your brush tips, uncheck the Select Paper Textures option.